We are in negotiations with some buddies regarding tackling the West Coast Trail; the infamous and difficult life saving trail that stretches between Port Renfrew and Bamfield on the wild west coast of Vancouver Island. Truth be told, we have done it before, but we were younger, fitter, and much dumber. A million lessons were learned on that first trip, most of them being about how not to do things. Lesson one, and the key to success for someone who's a few years on, is as light as possible pack; which means the most compact and light equipment that you can find. We could talk at length, and ad nauseam, regarding out top gear picks, and we may just do that post some day, but we want to talk about sleeping. The above pictured Aerobed Pakmat will be our air mattress of choice. 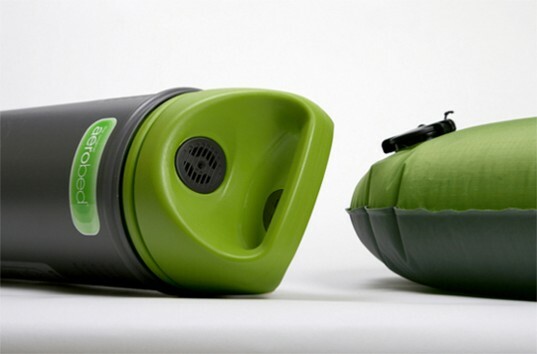 We choose this, as when deflated, it compacts to fit inside a tube, which also happens to double as a pump. Pretty ingenious if you ask us. There may be lighter ones on the market, but none have a hard case to compact it away from the elements in, and in turn trimming the size down. That leads us to lesson number two; keep everything dry (for another time). You can see and learn more here.